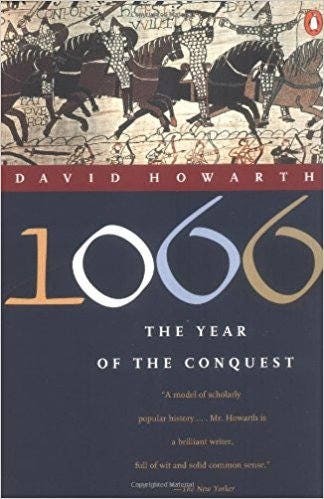 The year 1066 is one of the most important dates in the history of the Western world: the year William the Conqueror defeated the English at the Battle of Hastings and changed England and the English forever. The events leading to-and following-this turning point in history are shrouded in mystery. Distorted by the biased accounts written by a subjugated people, many believe it was the English who ultimately won the battle, since the Normans became assimilated into the English way of life. Drawing on a wealth of contemporary sources, David Howarth gives us memorable portraits of the kings: Edward the Confessor, Harold of England, William of Normandy, as well as the leading political figures of the time. Howarth describes the English commoners: how they worked, fought, died, and how they perceived the overthrow of their world from their isolated shires.